Ruger is one of the more well-known names in the firearms industry. The company’s full name is actually Sturm, Ruger & Co, Inc., and it has been in the gun business for nearly 70 years. The company is based in Southport, Connecticut, and it really is better known by its shorthand, Ruger. 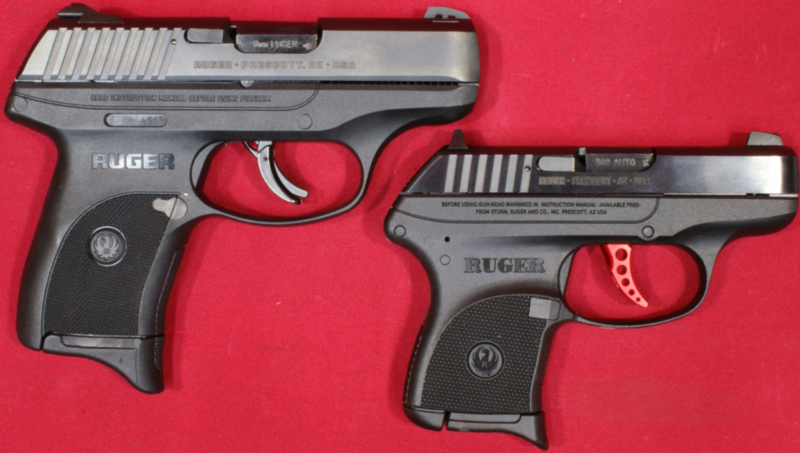 In 2011’s SHOT Show, Ruger announced that it was going to be releasing a new, sub-compact, semi-automatic, 9mm handgun. 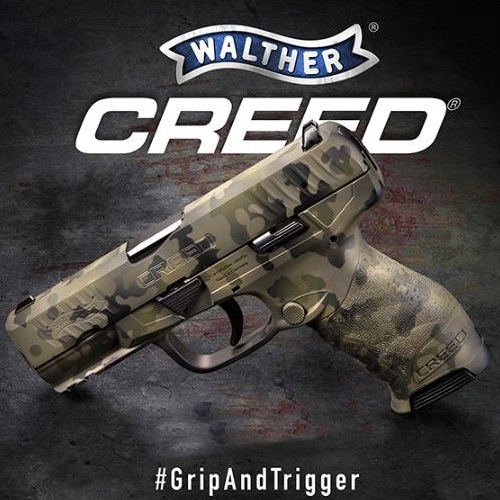 The company revealed that it would be meant primarily for concealed carry purposes, and be named the LC9 (which stands for “lightweight compact 9mm”). 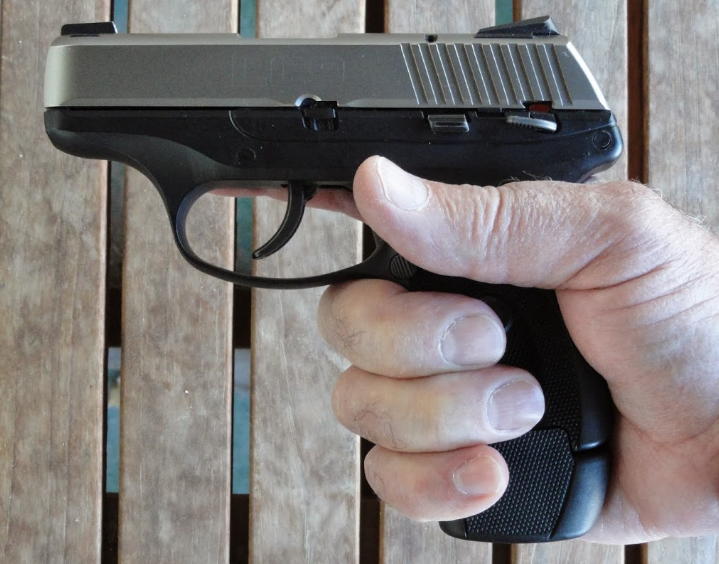 Obviously, those who carry the gun can do what they want with it, but there is no doubt that the company was aiming more towards the concealed carriers with this particular model. 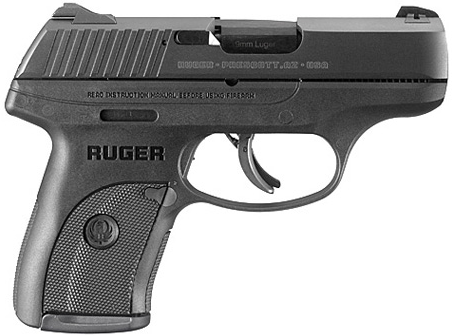 We’ll cover the concealed carry factor of the gun and more here in our Ruger LC9 Centerfire Pistol Review. Magazine: 7 rounds (standard), 9 rounds (extended). Introduced – 2011 (discontinued in 2015, and replaced by the LC9s). The LC9 has a polymer frame and a blued steel alloy barrel and slide. In many ways, the LC9s is almost identical. The LC9s doesn’t have the loaded chamber indicator, and it features a trigger-blade safety which the LC9 does not. The gun market in the United States seems to be saturated in small, slim, 9mm, semi-automatic concealed carry weapons (CCWs). Every company worth its salt has some kind of 9mm compact, or variant thereof, and it is very clear why. The 9mm caliber is ideal for self-defense purposes, and the ability to easily conceal a weapon is one feature which many people are on the lookout for when shopping for a personal firearm. The manufacturer suggested retail price for the LC9 was $479 or so, and nowadays it can be found for lower prices. The moment that the LC9 was released, complaints regarding its awkward trigger pull began to crowd the desks of Ruger customer support representatives and gun shop clerks. The double-action only trigger was way too heavy and uncomfortable to use. It stacked in the back, had too much travel time, too big a trigger pull, and it basically didn’t fit well with a sub-compact firearm meant for self-defense. Ruger saw that it made a mistake, and tried to rectify the situation. 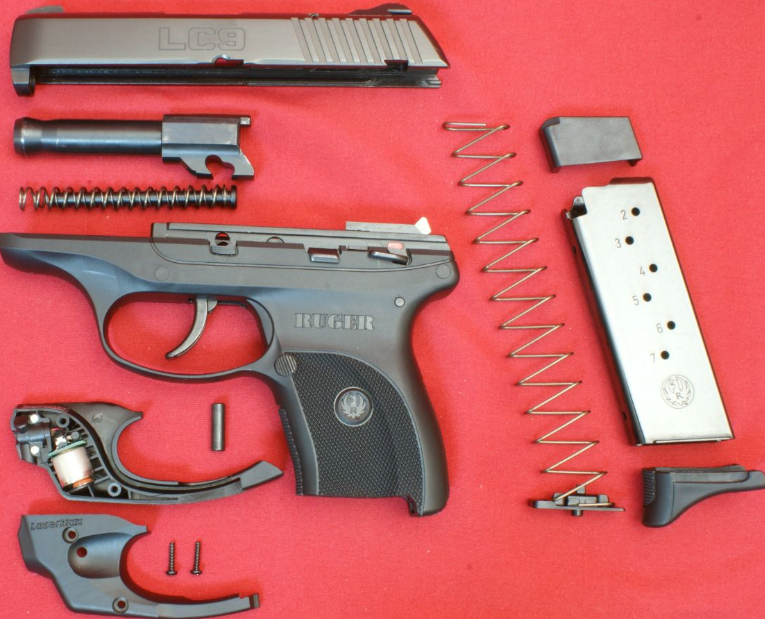 Any changes which Ruger may have made to its subsequent line of LC9 models, however, were not satisfactory. Some time later, in the summer of 2014, the company announced that it was releasing a striker-fired version of the LC9, named the “LC9s”. The LC9s succeeded the LC9, and even though you can still find LC9 models for sale, they are not nearly as popular as their striker-fired counterpart. Like the LC9, the LC9s is slim, light, and chambered in 9mm. The manufacturer suggested retail price for the LC9s is $479, and it is also comes with a 7-round magazine. The LC9s featured a better action and easier trigger, and overall it provided the users with an increased degree of control and accuracy. When the LC9s was introduced, Ruger decided to make it easy for LC9 carriers to upgrade to the newer, and altogether more efficient, model. They offered a limited trade-in promotion, and gave LC9 traders a $100 gift certificate (for use at the Ruger online store) when they traded in their old LC9 towards purchasing a new LC9s. That was a pretty sweet deal, and many LC9 carriers took full advantage of it. Some guns, like the LC9 and LC9s, are so small, that you can sometimes forget you are carrying. A gun of that size, which is (theoretically) meant to be carried all day and stay out of sight, needs to be secure. Obviously, safety comes first. This is true to any gun, no matter the size, caliber, or method of carry (open or concealed). However, it becomes even more of an issue with smaller, lightweight pistols, like this Ruger. Whether it is a pocket holster, a small of back holster, an ankle holster, or the standard over/inside-the-waistband holsters – it is one of the only accessories which is truly a bare necessity. It is one of the first things any sensible gun owner buys, because it greatly affects your everyday carry, as well as your draw. Sof-Tuck Ruger LC9 holster, by DeSantis: This one is intended for right-handed use, but left-handed users may find that it fits them as well. It is a brown, inside the pant holster, made of suede and saddle tan leather, and will also fit the Kahr PM9/40/45. This Sof-Tuck has an adjustable cant, and can also be worn on the small of the back. Hip Holster With Mag Pouch, by Federal: This hip holster is of the ambidextrous, clip-on/belt loop variety. It features a reinforced thumbreak and a frontal magazine pouch. Made of high-grade multi-layer nylon materials, it is a convenient and highly affordable option. Can be worn strong side or cross draw. The loops and metal clip are adjustable, for maximum support and comfort. KTP11 Paddle Holster, by Fobus: This is a straight-up, standard, fixed cant, right-handed holster, which employs a passive retention system (single adjustment screw) that keeps the gun secure and allows more faster drawing than many other types of holsters. It is rugged, maintenance free, and can be easily cleaned. Will also fit the Kel-Tec P11 and SKYY CPX-1. Ultimate Belly Band Holster, by ComforTac: This is a concealed carry holster which is meant to be a “one size fits all” kind of device. It is a holster which – according to ComforTac – can be used as an inside the waistband, outside the waistband, small of back, cross body, hip, shoulder (! ), and appendix holster. It is meant to fit sub-compact, compact, and even full size handguns and revolvers. Available in right and left draw. Comes with a spare mag pouch. Do not settle for an uncomfortable holster, or for one which is otherwise not ideal. Your holster needs to be a constant part of your training. Practice drawing, firing, and re-holstering, again and again, and that hard work is going to pay off should you ever find yourself in a situation where you must draw. Remember that in most civilian encounters, the distances are significantly shorter. This isn’t a Hollywood picture, and in ral life there isn’t much time to think things over or talk shop with the bad guy. Once you make the conscious decision to draw your weapon, it is for one reason, and one reason only – to fire. Nothing else will do. You are not a police officer or soldier, and there is no place for negotiations. If you draw, it is to save your life or the lives of others, and you must be skilled with whatever holster and weapon you are carrying. Because of this, the holster you choose has to be nothing short of perfect. If it takes some time to find one, invest that time. It is well worth it. The freedom to carry a deadly weapon comes with certain responsibilities, after all. Some 9mm sub-compacts, like the Glock 26 or FNS-9, are double-stacked, and therefor have more firepower. 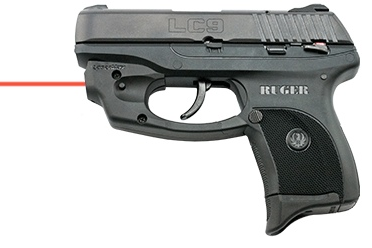 In order to keep the LC9 as small and concealable as possible, Ruger decided to release the LC9 with a relatively small-ish 7-round magazine. Now, just to be clear – in most civilian situations, 7 + 1 rounds will be more than enough. If you find yourseld in need of life-saving tactics, but are not able to neutralize your target in 8 shots, you may as well have shot 30 rounds, since it probably wouldn’t have gotten the job done anyway. Either you are too far, too blinded (by lighting conditions/weather conditions), or otherwise too unskilled with your weapon. Regardless – more firepower is always better, and there is no argument there. For this reason, Ruger (and other brands) have released extended magazines for the LC9 and LC9s. Extensions for the LC9 come in the shape of 9- or 10-round magazines. And hey, don’t forget that chambered round! A handgun is a tool, and gun accessories are meant to turn you into a better shooter. Plain and simple. Some are more needed than others, and some are literally just there to help you and your gun develop a more personal relationship (not knocking that, no sir). Here are some accessories which fit into the former group. Ones which could make a real difference, from the very first time you install them and get into a firing position. Optics and Sights: Lasers, Flashlights, Red Dots, Fiber-Optic or Tritium Sights. Any kind of optic upgrade is potentially a good idea, but it really does depend on your unique situation. The question you need to ask yourself (other than “do I feel lucky?”) is whether or not it is worth the extra weight or bulk. Are you going to need it? Are you going to use it? Some popular laser options are Crimson Trace, LaserMax, and Viridian. Viridian also has a flashlight for the LC9, and TruGlo has some very decent night sights. Remember: Regardless of your choice of optics or sight replacement, you need to practice your draw-point-shoot technique. They may be life savers, but you should never fully rely on any optic or sight. As one eloquent Ruger forum member put it: “your attacker with a knife will close a 7 yard gap and stab you within 1 to 1.5 seconds. Good luck looking for that little laser dot”. Grips, Gloves, Wraps, and Sleeves: Getting the right amount of traction and purchase can significantly add to your accuracy and in particular the accuracy of follow-up shots. When you are in an emergency situation, your hands might be sweaty, your grip may be less-than-perfect, and external elements such as hot or cold weather could also play a part in loosening your grip. 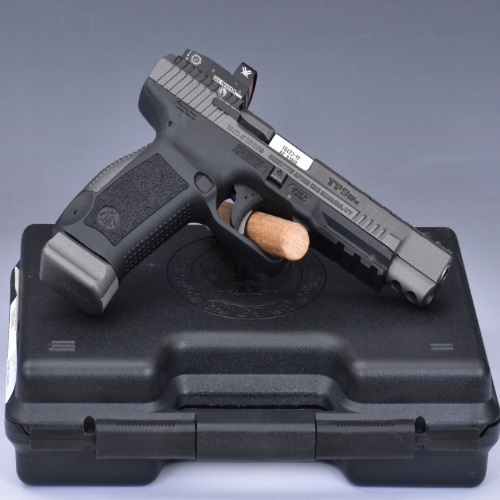 Using a sleeve or other kind of grip-aid can be very effective, and companies like Talon, Hogue, and Pachmayr are offering some very good solutions in that department. Also, while we are on the subject of grips, Ruger has a finger extension which can help you get a better grip with your pinky. In 2008, several years before the LC9 was introduced, the LCP (lightweight compact pistol) model was released. 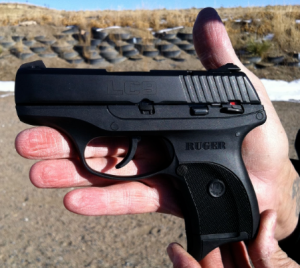 It is a .380 ACP caliber pistol, and it was Ruger’s first attempt at an ultra-light defense weapon. It was, and remains, a success. 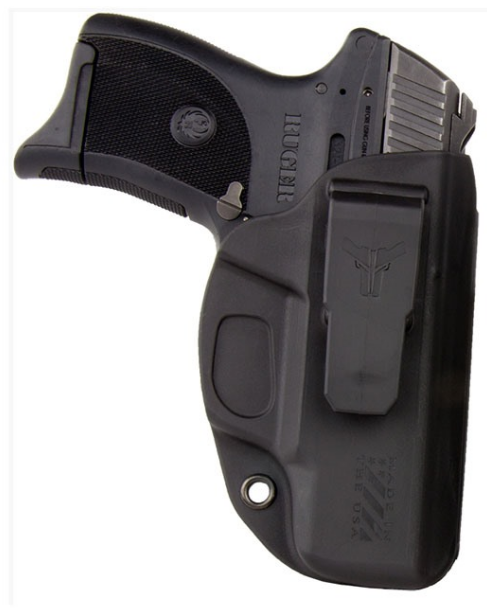 The LCP is still being produced today, and is still a very popular option. Barrel length – 2.75 inches. Magazine – 6 rounds (standard), 7 rounds (extended). This gun also has a polymer frame and blued alloy steel slide and barrel. 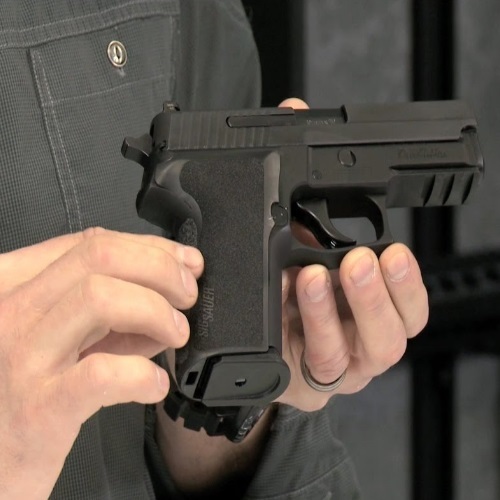 Shortly after its release, there was a recall of some of the LCP model numbers. These guns were upgraded and improved, and then returned to their respective owners. The “Baby” Glock 26 is a sub-compact 9mm, and as such it is often compared to the LC9. 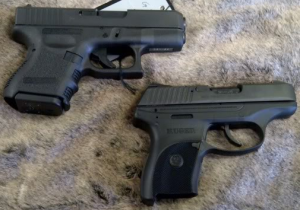 Both are highly concealable, reliable, and popular. Magazine: 10 rounds (standard), 12 rounds (extended), 15/17/33 rounds (optional), 50/100 round drums (not at all concealable, but I am sure it is a lot of fun to shoot!). Both of these guns are excellent choices. Overall, Glock seems to have more of a following when it comes to 9mm handguns, even though Ruger is the older company of the two. Glock has its proprietary “Safe Action” system, and that counts for a lot. Glock also has more firepower, as I mentioned earlier. The Glock 26 is probably easier to strip and maintain, overall. On the other hand, when it comes to size, price, and weight, the advantage goes to the Ruger LC9. So, there are advantages and disadvantages to both guns. There isn’t a particular one which is better or worse. The G26 did come out waaay before the LC9, but that doesn’t necessarily make it better. It depends primarily on the shooter’s needs and good judgement. If you are looking for a concealable sub-compact 9mm, you cannot go wrong with either one of these models. Stay safe out there, and thanks for checking out Gunivore!